Posada Amazonas or Refugio Amazonas Lodge for an Amazon tour? The Posada Amazonas or Refugio Amazonas Lodge for an Amazon tour? Posted by: Ash on February 9th, 2017, in Guides. 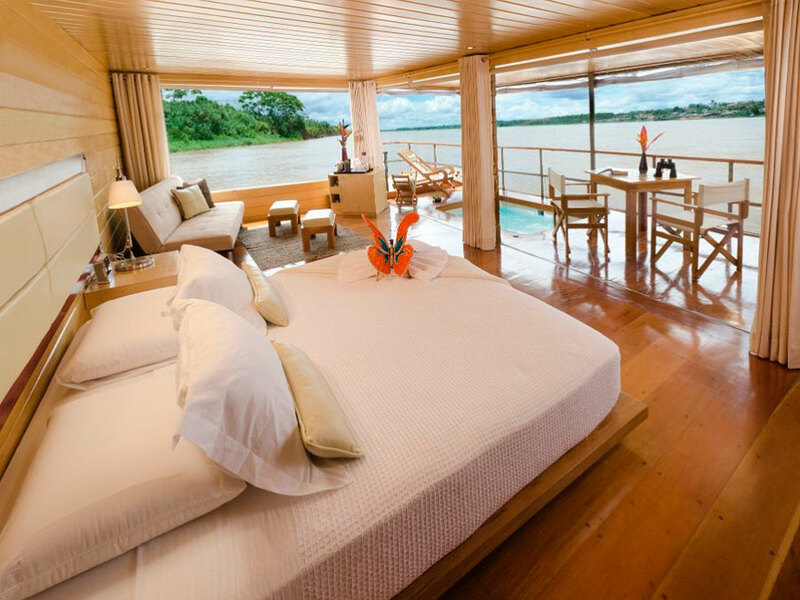 Tags: Amazon Rainforest, Lodges, Peru, Puerto Maldonado, Tambopata, Wildlife. The Amazon Rainforest of southern Peru is one of the most species-rich areas of Amazonia. 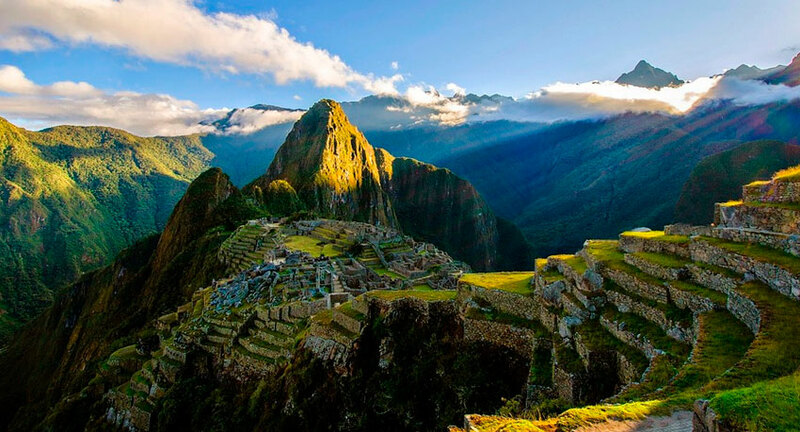 It is also home to one of the healthiest tourism industries for Amazon Rainforest tours. 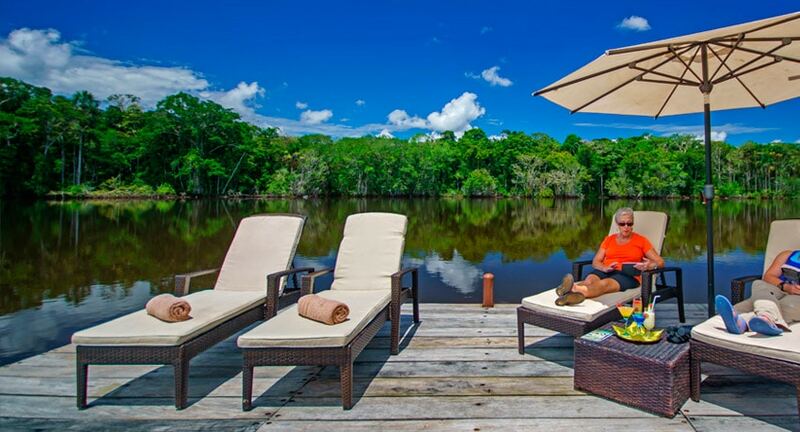 Two great lodges to pick are the Posada Amazonas Lodge or Refugio Amazonas Lodge. 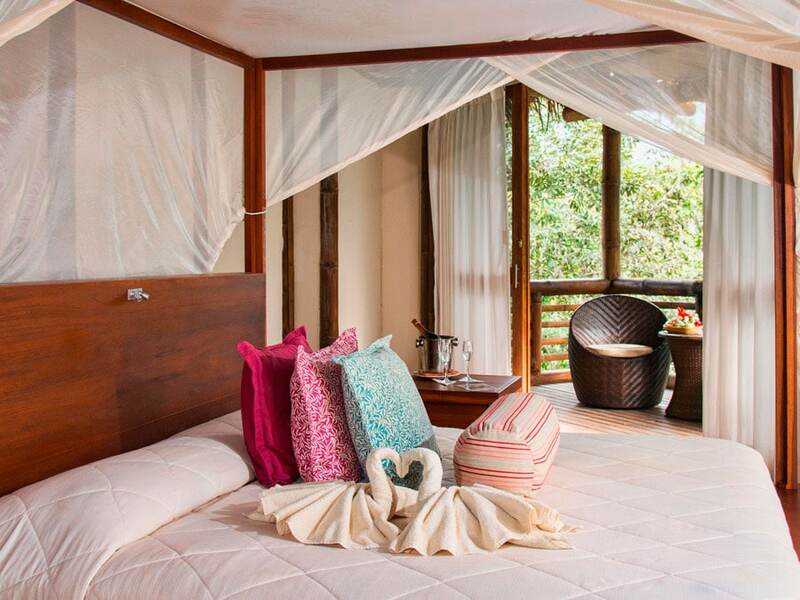 Both the lodges are nestled in the rainforest and offer an ecologically conscious tour in the Tambopata area. Both lodges offer a similar design, similar comfort level, and similar activity options. Both of these lodges are surrounded by sections of the Amazon Rainforest containing a fantastic abundance of different rainforest monkeys, colorful birds, Amazonian lakes, and trails. As these both offer a similar experience of the Tambopata Amazon Rainforest, do you pick the Posada Amazonas Lodge or the Refugio Amazonas Lodge? Here, we will go over both the Posada Amazonas and Refugio Amazonas and mention their differences, similarities, and the activity options from both of these fantastic Tambopata lodges. The Posada Amazonas is a community-owned lodge about 45 minutes from the base town of Puerto Maldonado (when leaving from the Infierno community port). This makes it a great choice for a shorter Amazon Rainforest of two or three days. The closer a lodge is to a base town, the more time you have available in the rainforest itself. The Posada Amazonas has 30 rooms in total. These include 12 traditional rooms, 16 Comfort Rooms, and 2 Suite Rooms. On guided rainforest tours from the Posada Amazonas Lodge, enjoy spotting a variety of Amazon animals. You can spot different monkeys and colorful parrots. Explore Lake Tres Chimbadas on a catamaran and have a good chance of spotting the lake’s resident giant river otters. In addition to the otters, spot hoatzins and other lake wildlife. From the Posada Amazonas, you can climb a 30-meter high canopy tower to look over the Amazon Rainforest’s canopy. 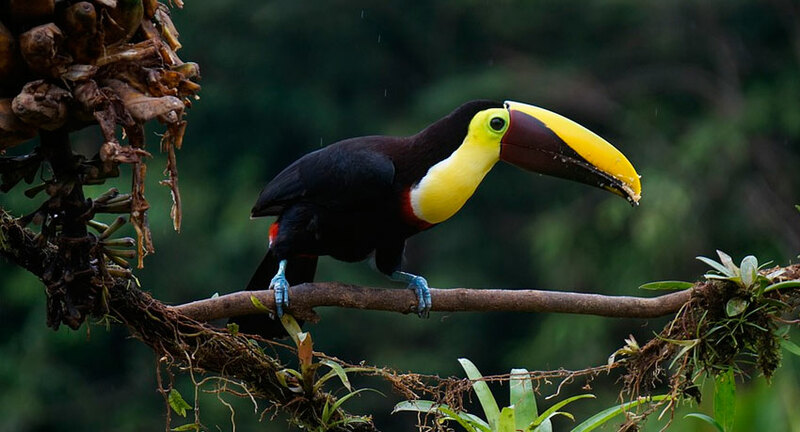 This is a great place to spot for different toucans, macaws, parakeets, and other colorful birds. You can also walk an ethnobotanical trail and visit a working jungle farm. Here, you can see how people live in the rainforest. On the farm visit, enjoy tasting different tropical fruits, such as chocolate and a relative of the tomato. There are a variety of add-on activities you can choose at the Posada Amazonas. These include jungle mountain biking, kayaking, paddle boarding, and canopy climbing. The comfortable lodge and suites are also complemented with a small spa if you would like a massage. This is a great place option to relax after your tours exploring the Tambopata rainforest. The Refugio Amazonas Lodge sits in the buffer zone of the Tambopata National Reserve. The lodge is a bit further away from Puerto Maldonado than the Posada Amazonas above. After you set off from Puerto Maldonado, it takes a few hours to reach the lodge. Still offering a sustainable experience, the Refugio Amazonas has a partnership with a local Brazil nut concession and employs locals as guides and lodge staff. Because of the distance from Puerto Maldonado, it’s a great choice for tours of 3 or 4 days (a bit more time than Posada Amazonas). The Refugio Amazonas has 32 rooms in total. These include 14 traditional rooms, 14 Comfort Rooms, and 4 Suite Rooms. This makes it two rooms larger than the Posada Amazonas. Enjoy guided rainforest tours from the lodge. Like the Posada Amazonas, enjoy rainforest walks to spot different monkeys and colorful birds. 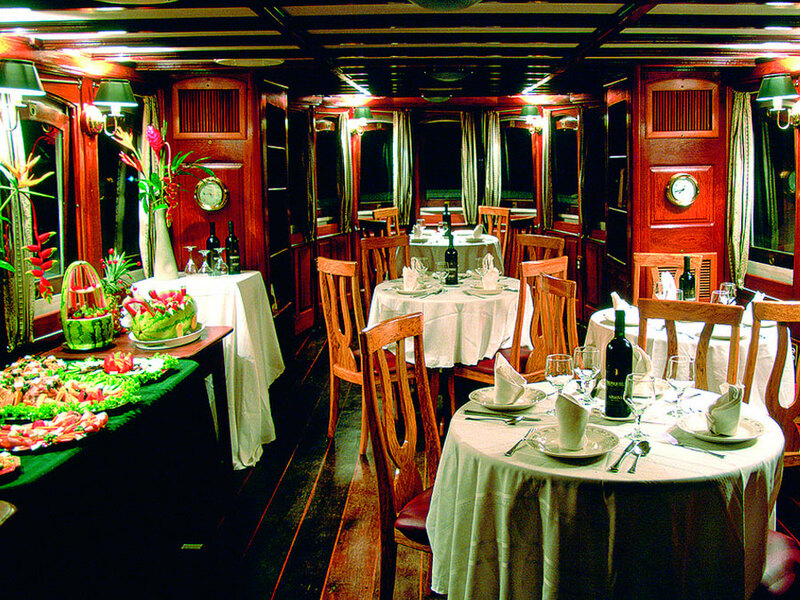 Explore the Lake Condenado on a catamaran. A difference here is that the lake is not home to giant river otters like Posada Amazonas. But we can still spot other like wildlife like hoatzins, caiman, and horned screamers. Like the Posada Amazonas, from Refugio Amazonas you can climb a 30-meter high canopy tower to see over the rainforest’s canopy. Again, this is a great place to spot parakeets, toucans, macaws, and other colorful birds. From Refugio Amazonas Lodge, you will visit a working jungle farm and a real Brazil nut concession. Sample delicious tropical fruit and learn the importance of the medicinal plants in the Amazon. Like the Posada Amazonas, there’s a variety of activities to choose. But here you can choose to book an ‘a la carte’ program. This means you book a program and have a list of activities to pick from. Differing from Posada Amazonas, the list of activities includes a visit to Chuncho clay lick. This is one of the largest macaw clay licks in the Amazon Rainforest. The Refugio Amazonas can also be a better option for clay licks. Not only can you add-on a visit to the Chuncho clay lick, but you can also visit a small parrot clay lick near the lodge and a nearby small mammal clay lick. There are also a variety of other activities you can choose from on their ‘a la carte’ program. These include jungle mountain biking, kayaking, paddle boarding, and canopy climbing. The comfortable lodge and suites are also complemented with a larger spa than the Posada Amazonas. This is a great place option to relax with a massage or aromatherapy after your excursions in the Amazon. Although you have less chance of spotting giant river otters, guests at the Refugio Amazonas Lodge have learned of harpy eagles nesting nearby. This seems a preferred area for harpy eagles, so send the lodge a message using the contact bubble below to ask if they have been seen recently. As another difference, the Refugio Amazonas Lodge has a children’s trail in the rainforest. This helps with signposts and interactive walks for children to learn about the Amazon in a more relatable way. 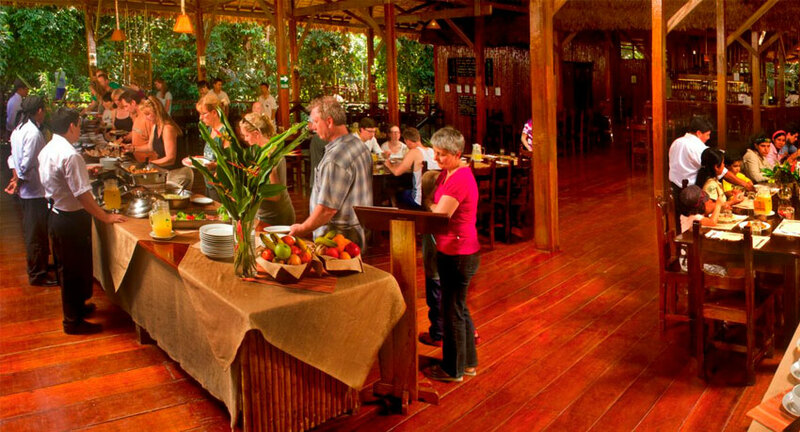 From the lodge, enjoy guided rainforest walks to find fascinating Amazon Rainforest animals. These include several different monkeys, such as saddle backed tamarins, squirrel monkeys, brown capuchin monkeys, red howler monkeys, and dusky titi monkeys. Aside from these features, the Refugio Amazonas Lodge is otherwise very similar to the Posada Amazonas Lodge mentioned further up. Both of these lodges are therefore offered interchangeably if one of the options is fully booked. To summarize the differences, here’s a table on the features of the Posada Amazonas vs the Refugio Amazonas. The Posada Amazonas and Refugio Amazonas Lodge are near each other, but located in different sections of southern Peru’s Amazon Rainforest. These lodges have slightly different animals and plant communities living in the nearby rainforest. Although the lodges themselves are very similar, which you can see from the table above, the wildlife you can find can be a bit more diverse. Let’s look at a summary table of the wildlife you have a chance spotting from both the Posada Amazonas Lodge and Refugio Amazonas Lodge. The percentages indicate the percent of lodge visitors that see the different animals. As wildlife is very similar, pay particular attention to giant river otters and harpy eagles. After this, we will introduce the Tambopata Research Center. This lodge is located in the heart of Tambopata National Reserve passed the Refugio Amazonas to give you a comparison of a ‘deep’ Amazon lodge. Although both the Posada Amazonas and Refugio Amazonas Lodge offer an excellent rainforest experience, to see more wildlife you can head deeper into the Amazon Rainforest. 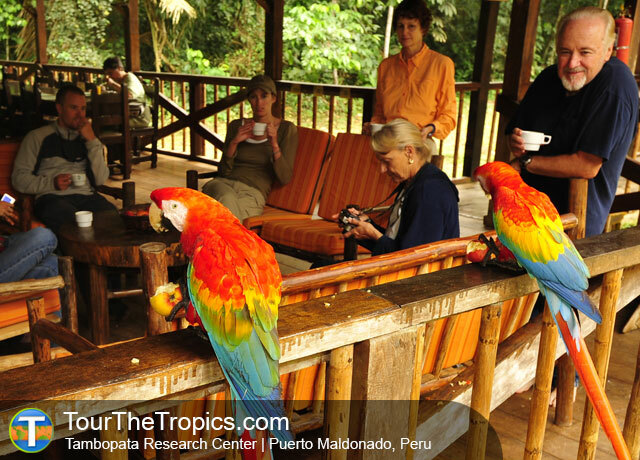 The Tambopata Research Center is a highly rated rainforest lodge in the middle of Tambopata National Reserve. Because the surrounding environment is at carrying capacity for animals and plants, you have higher chances of seeing more Amazonian animals. In addition to this, the Tambopata Research Center is located near one of the largest clay licks in the Amazon Rainforest. Because the Tambopata Research Center is located deep in the heart of Tambopata, on the way to the lodge you will also stop for a night at the Refugio Amazonas Lodge. To see the differences of the Tambopata Research Center wildlife, here is the above wildlife table again but with the Tambopata Research Center added to the end. In this list, pay particular attention to jaguar and spider monkeys. As this lodge isn’t located close to a lake, lake-species like giant otters and hoatzins are seen less at the Tambopata Research Center. Remember that if you’re looking to maximize wildlife sightings, you should also consider the Tambopata Research Center, which sits in the middle of Tambopata National Reserve.